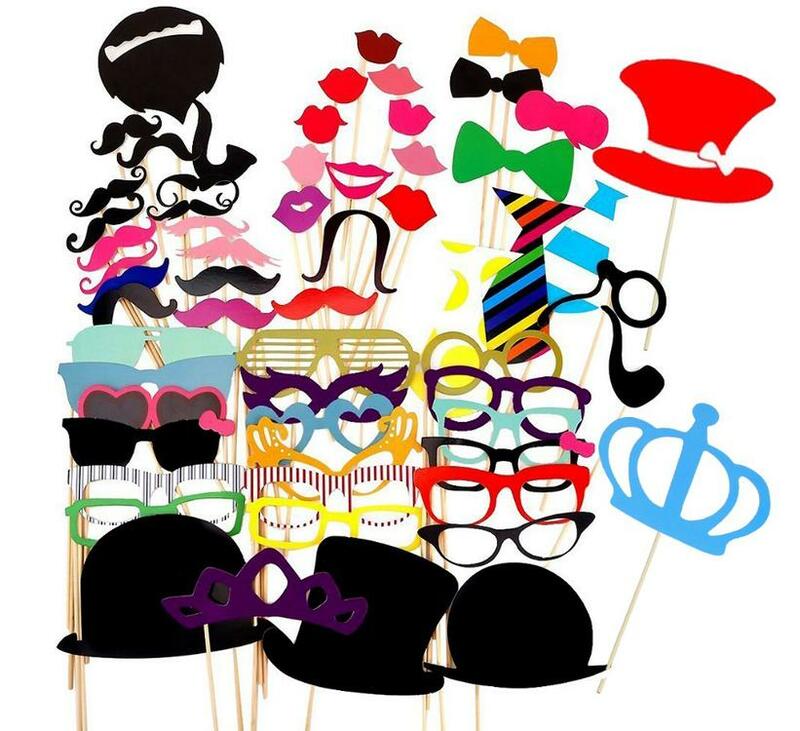 Fall in love with these cute and funny Photo Booth Props! This 60 piece set is perfect for your wedding party, and has a tonne of different props for different looks. This will not just add fun to your party but this will also help you create fun memories. Use this for your own party or give it as a gift. Note: Our standard delivery times can be found under "Shipping & Returns". However, we know what its like planning your big day - don't leave things till the last minute; please allow up to 4 weeks for delivery, just to be on the safe side!